You know that feeling when you've completed your blog post and you want to change one tiny thing and you end up clicking something you didn't mean to and it erases the whole thing? Yeah? Good. Then you know how I feel right now. Let me just start over. Eesh. Yesterday, I read this post over at On Just a Couple Acres about killing squash bugs. Now, if the words bug and kill are in the same title, then I want to read it. And not until I read this post did I realize what was eating my squash plants. I knew those little pearly things were eggs, but I didn't know what kind and I didn't know that what I call a stink bug is also a squash bug! So, I armed myself with duct tape and went out to wage war in the garden. I wrapped my hand with the duct tape, sticky side out and went to town on those pests. I also found the nymphs the post talked about and grabbed those, too. Ew. Gross. I also found some full grown stink/squash/nasty bugs and... well, to be honest, those scare me because I don't know if they will actually spray some kind of foul odor on me so I just flicked those as far as I could. I know, I know, "Dummy, they're just going to come back!" Well, maybe I'll have more courage by then to squish them, stink and all. Ugh. I was so happy I had learned something new and that my squash are now bug free! That is until the ones I sent sailing find their way back... but still. Now, for some teachery stuff. 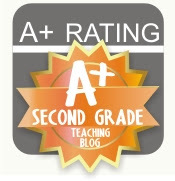 Have you teachers out there seen the new Technology Tailgate blog? My, oh, my! It is simply amazing! Those teachers are my new heroes! I've already made a list of things to start this year. And that's just after a week of reading their posts! Click here to check it out or go to the button on my home page! You won't be sorry! And, finally, any pygmy goat owners out there? I can hear Loretta and Lynn out there now raising Cain. Why? Well, my theory is I moved them to their neighboring pasture. The pasture they were in is planted with winter rye, so you can imagine how much browsing was going on. That's right. Zero. They now have plenty of roaming and browsing to do, but instead, they would rather fuss because they aren't tucked away into their familiar pasture. That, and it just got done raining. The LORD blessed us with a day of rain and instead of being grateful for it they took it as another reason to cry and scream. If you have pygmies, you know they do not like to get wet. They don't even like the possibility of getting wet. No wet. Ever. Don't even think about it or... or... MAAAAAAAAAAAAAAAAAA!!!! I'm sure they are out there now, looking at that wet grass and thinking, "No way. No way my little dainty hooves are going to touch THAT." That's how it goes. I'm sure they'll calm down in a day or two. They are picky little critters; crying when things don't go their way... does that remind you of anyone you know. I guess we aren't all that different, are we? We let little things get us all worked up. And for what? Who knew you could get life lessons out of goats?